It’s not true when you say I don’t have enough time! First things first – I really need to get this off my chest. I don’t like or agree with the phrase ‘time management’. Why not I hear you ask…well, you can’t manage time – time is what it is and there is the same amount in every day. What time management really means is prioritising what you do in the time that you have. I don’t have enough time to do X, Y, Z actually means – X, Y, Z isn’t a priority for me. 1. Assess your time using a time log (like the example later in this article) – be brutally honest with yourself and log everything. o What would happen if I/we didn’t do this task? If nothing, then stop doing it. o Will this activity move me closer to achieving my top three priorities? If not, stop doing it (unless your manager requested it; go to next point). 3. Make decisions – remember that there is very rarely a ‘right’ decision. The very best decisions we make will only be the best decision available at that time. It may not be a perfect solution – do not beat yourself up about it! 4. 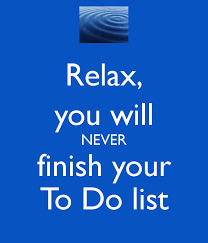 Don’t procrastinate – do the unpleasant urgent/important things first. 5. Stick to your plan where possible but remember that sometimes flexibility is needed (or better planning). 6. Write things down (we can only remember so much information) – if you are not a list person then draw or scribble. I personally find Google Keep very helpful. Project management tools can be useful but sometimes they become over complicated. Find what works best for you. 7. Don’t plan too tightly – have some buffer zones. Back to back meetings rarely work! Plan some transition times between them so that you have room to think/breath/eat. 9. Schedule in ‘down time’ – believe me, you need it. 10. Aim for true life-work balance (this is subjective – are YOU happy with it?) Don’t spend your whole life building a living and forget to build a life. 1. How much time do you spend on important/urgent/routine/time wasting things? 2. When are you most productive? 3. When are you least productive? 4. When, what and/or who are your worst interruptions? 5. Do you use time productively? 6. Do you achieve your main goals every day/week? 7. What do you do when you shouldn’t be? The following self-assessment will help you to think about where your strengths and improvement areas lie. You need to be totally honest when scoring yourself. Read through each of the following statements and give yourself a rating of between 1 and 10, depending on how you truly react to each statement. Don’t over think it – your first reaction is usually near to the truth! The areas that you score yourself low in should become areas to focus on improving. 1. I frequently use task lists or a system that helps me record, see clearly and monitor my tasks. 3. I manage to fit things into my plans, even unexpected events. .
4. My personal work area is kept organised. .
5. I deal well with interruptions. 6. I always meet my deadlines. 8. Delegating to others is something I do frequently. 9. I keep sight of long range tasks even when working on short range tasks. 10. Relaxing is easy when work stops. 11. I always concentrate on the immediate tasks and demands. 12. I am aware of my most creative time of the day and I always schedule my most difficult tasks during this time. 13. My work diary is always up to date. 14. Problems get left at work. 15. I can talk freely to others about difficulties that I, like everyone else has with working under time pressures. 16. At the end of the day I feel satisfied with the work I have done. 17. I feel confident about the way I work and happy continuing to work this way. 18. I feel fulfilled with my life. 19. I believe that my tangible outputs are more important that the amount of hours that I have to be in an office. In other words, I am judged on the quality of what I do. 20. When someone asks me to do something, I find it easy to say no. The final point is interesting – do you find it easy or hard to say no to your boss and/or other people? Imagine that you are busy, what answer would you give to the following simple question from your boss? Can you do this additional work for me please? In simple terms you can say yes or you can say no…but wait…how about this response? Yes I can do that piece of work, I’m currently very busy so if it is a priority for me and my team what would you suggest I stop doing in order to be able to do it? This is a great switching statement/question that highlights you are capable of doing the job (if indeed you are actually capable of doing it – if not, say so), but also highlights that you are busy. You don’t need to just repeat this every time – it’s more about changing the thinking and move it towards a discussion in order to achieve a win-win. Remember that sometimes the biggest thing is learning to say no to yourself! Finally…don’t overly worry about your to-do list. You will never ever finish it.